In this episode Jason continues the series that discusses the Doctrines of Grace. 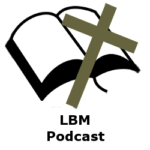 In this episode we first discuss presuppositional apologetics and a recent Christian/Atheist Debate and then we focus on the doctrine of Irresistible Grace. This doctrine says that when the Holy Spirit regenerates the heart of the individual that God has foreknown and elected to salvation that individual will without fail come to Christ in faith. The regenerated person will always believe and trust in Christ alone for his salvation because he has been given a new heart with new desires. The regenerated person has been given a new spiritual nature that both desires to and can please God. Jeff Durbin from Apologia Church knocks it out of the park with a reasoned defense of the faith and with a great presentation of the Pre-supositional Apologetic.